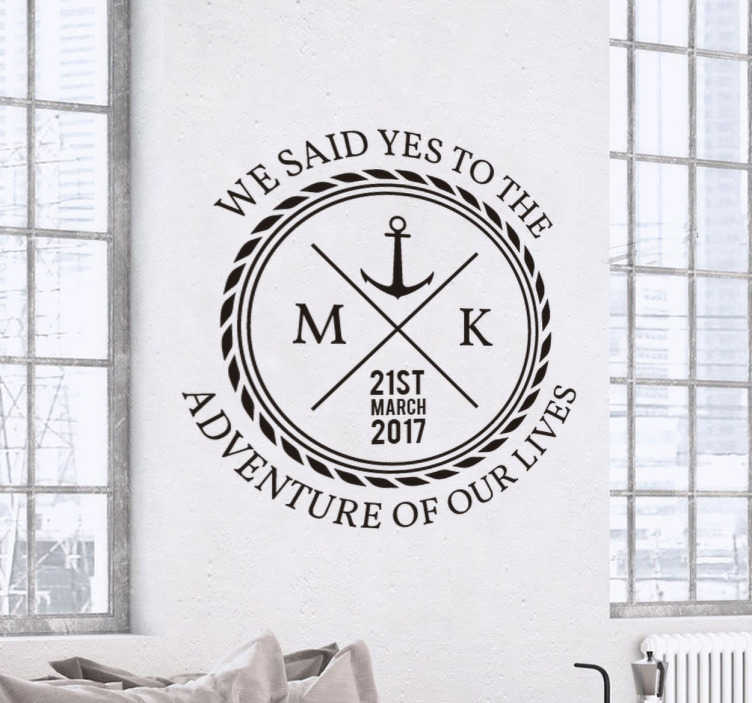 This customisable sticker featuring an anchor and rope design is ideal for weddings, engagement parties, rehearsal dinners, anniversary dinners and more. Also with the sweet text "We said yes to the adventure of our lives". All our decorative vinyls are made from a durable, high quality, anti-bubble material, and are applicable to any surface indoor or outdoor! This sticker is available in a variety of different sizes, and if you require a custom size, simply let us know and we will be happy to manufacture it!